Join us for a day at the Seaquarium! 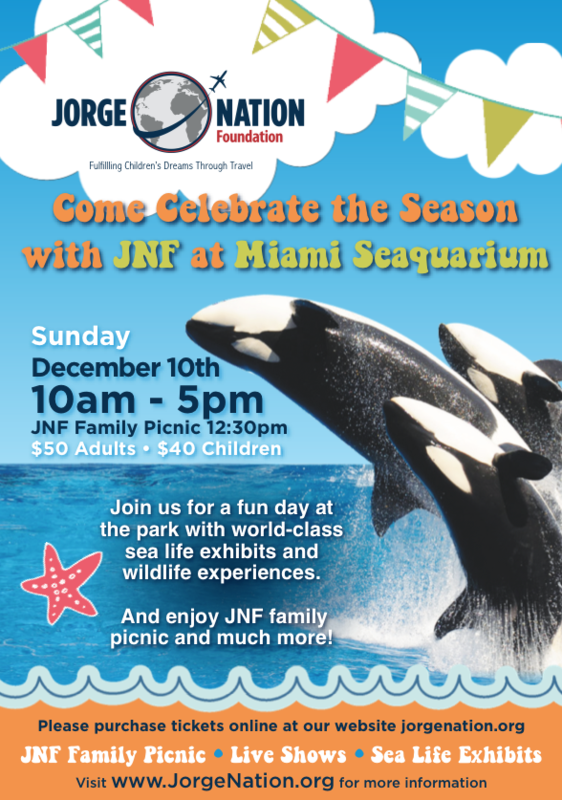 The Jorge Nation Foundation will be holding its 6th Annual Group Dream Trip this year at The Miami Seaquarium on December 10th from 10am to 5 PM! We invite our amazing supporters to join in a fun-filled day of sea life exhibits, wildlife encounters, live shows and a family picnic. JNF’s Group Dream Trip is held every year in December for the children and families of Joe DiMaggio Children’s Hospital as an exciting way to celebrate the holiday season. The last day to RSVP and buy your tickets is Thursday December 7th at 11:59 PM, so don’t delay.